It is obvious that the main purpose of the conferences is considered to be the exchange of experience and direct communication. Many conferences have the opportunity to learn something new, therefore KYCBench team is choosing the most attractive events to benefit from constant learning, networking and marketing. 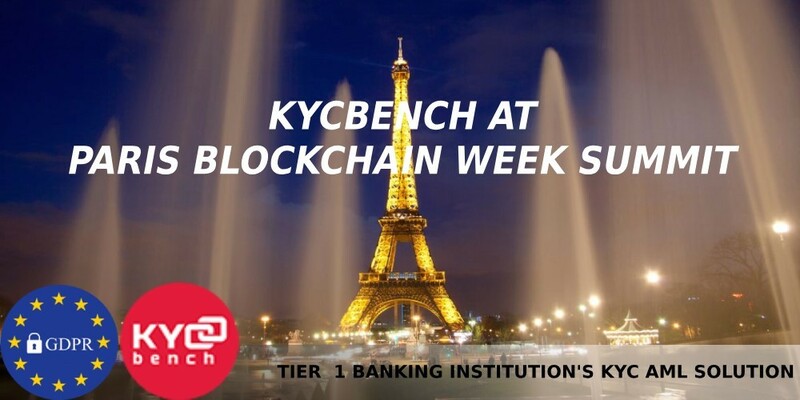 Paris Blockchain Week Summit is the flagship event of Paris Blockchain Week –first international blockchain conference in France and KYCBench is getting ready! Organizators promise, that during two days, discussions around EU regulations, stable coins, decentralized exchanges, security tokens, scalability issues, recent advances in consensus mechanisms as well as renowned speakers from the best blockchain and digital asset companies in the world will share their stories and insights on the market and its prospects.